The coastal Insotel Fenicia Prestige Suites & Spa is located by the banks of Santa Eulalia River 1 kilometre from the beach on the Balearic island of Ibiza, Spain. The 16th-century fortifications of Puig de Missa, a Marina and Ibiza's archaeological museum are within 10 kilometres. Historic Ibiza town is 15 kilometres from the hotel. Ibiza's modern Insotel Fenicia Prestige Suites & Spa complex occupies a large contemporary building with Mediterranean sea views. The hotel is a smoke-free property. Complimentary buffet breakfast is served at the hotel. 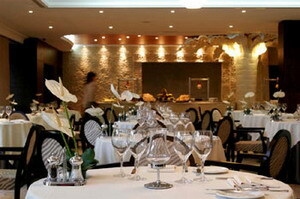 La Vinoteca is a gourmet restaurant which offers Mediterranean food. 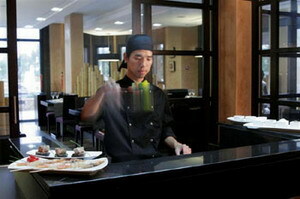 Guests can watch the chefs preparing international dishes at Fenicia Buffet Restaurant. 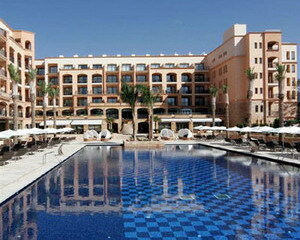 In the summer, poolside Tanit de Missa Restaurant serves grilled fish and meat, paella and rice specialities. Monsoon Oriental Restaurant has modern Japanese décor, garden, and a menu of oriental dishes. The piano bar is the setting for evening drinks and live performances. There is a conference centre and business services at the hotel. 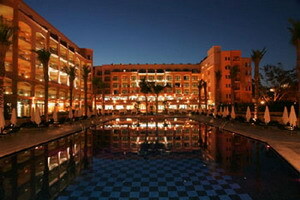 Wireless internet access is available in the hotel's air-conditioned public areas. Gardens and terraces with palms, sun loungers and parasols surround the outdoor pool. 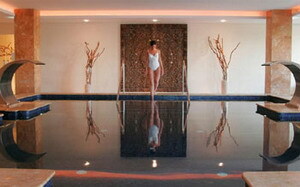 There is a sauna, jetted tub and hydro-massage pool, and massages or beauty treatments are available. The hotel also offers a Turkish bath and hair salon. Guests can browse in the onsite boutique or find peace in the reading room. Golfing, tennis and water sports are available nearby. Decorated in contemporary style in warm, neutral tones with wood furnishings, the 172 air-conditioned guestrooms at the spa hotel offer balconies. 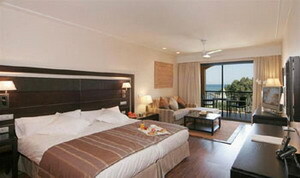 All rooms include minibars, safes, satellite television and internet connections (surcharge). Bathrooms have hydro-massage showers, bathrobes and designer toiletries.